Summer gives us a chance to branch out in new directions or more fully immerse ourselves in areas of interest. Here are three Adult graphic novels that will introduce you to some forward thinkers who were pioneers in their respective fields. Jim Ottaviani’s Dignifying Science, explores the lives of six women whose mark on science is indelible. 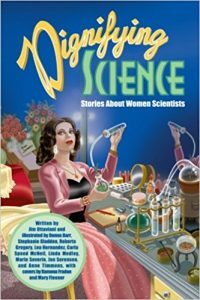 Included in this book are Hedy Lamarr, an actress and inventor who was a force behind the concept of the modern-day Bluetooth system, Lise Meitner, a physicist who was among a small team of scientists who discovered nuclear fission, and the Nobel Prize-winning cytogeneticist Barbara McClintock. Henry David Thoreau was a philosopher, writer, naturalist and an early promoter of the idea of civil disobedience. 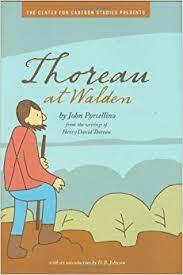 In his beautifully-drawn accompaniment to Thoreau’s writings, John Porcellino’s Thoreau at Walden brings to life this solemn and thoughtful resister. 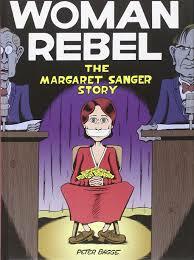 The graphic biography of Margaret Sanger, Woman Rebel by Peter Bagge, reveals the compelling background behind her activism, rooted in the difficult and painful times of her childhood growing up at the turn of the 20th century. This was a time in U.S. history which offered few opportunities to women in almost any area of their lives, and Margaret saw firsthand the deep suffering this caused her mother and eventually, herself. Armed with the passionate belief that women should be able to make their own choices regarding their lives, Margaret became one of the earliest and fiercest voices for women’s rights.